The police yesterday returned the items they took away from the home of the Chairman, Senate Committee on Appropriation, Mohammed Danjuma Goje last Thursday. 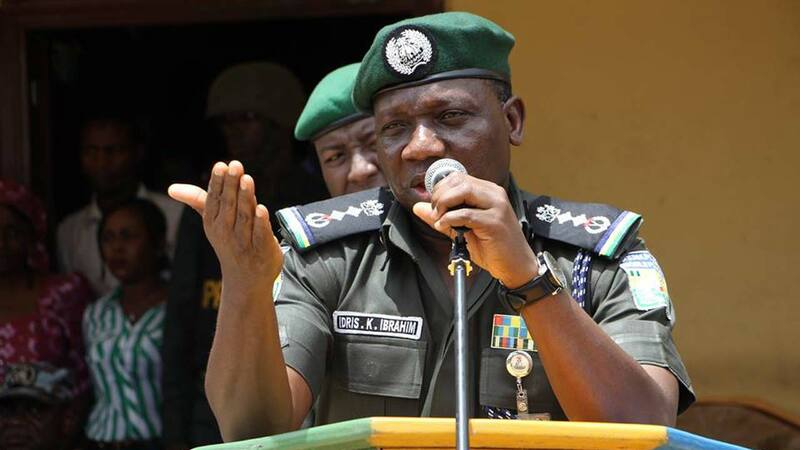 The Inspector General of Police, Ibrahim Idris, will today, visit the National Assembly to explain the legality of the search on the senator’s Asokoro, Abuja residence. Contrary to the claim by the federal legislator that vital documents relating to the 2017 appropriation bill currently before the National Assembly were carted away during the operation, the police high command maintained that its officers only recovered N18 million and $19,000 cash, among others and nothing near budget material. The courtesy call by the police chief to amend the fractured relationship between the two institutions should produce a fresh impetus towards seeing the already belated budget passed. “There was no single document relating to the 2017 budget sighted or removed by the police team that executed the search warrant. There is a video recording of the execution of the search warrant,” the police said in a statement issued yesterday in Abuja by Force Public Relations Officer (FPRO), Jimoh Moshood. The police stressed that the operation was carried out within the confines of the law, as a search warrant was obtained. “The report in its entirety is false, misleading and capable of misinforming Nigerians,” Moshood stressed. Meanwhile, the Senior Special Assistant to the President Muhammadu Buhari on National Assembly Matters (Senate), Solomon Ita Etang, has declared that the returning of the items was in furtherance of efforts to resolve the feud between the legislative and executive arms of government. In a statement, he thanked the Senate and House of Representatives for their efforts towards the timely passage of the budget. Also yesterday, the lower chamber of the National Assembly said the raid would delay the passage of the appropriation by two weeks. Its spokesperson, Abdulrazak Namdas, who briefed reporters, said the House remained resolute notwithstanding the denial by the top echelon of the police that it was not in possession of any vital documents. His words: “We still stand by our resolution that there is a document in possession of the police. And we expect if these documents are with the police, they should be able to make them available. One thing that I have come to confirm is that even the police agreed that they took the laptop from his house. On why a critical document like this could be taken to a private home, he noted: “Gentlemen, you have to be fair to us. We are public officers and if you are in the office, the kind of attention everybody wants from you sometimes makes it very difficult to complete your jobs. Sometimes, we feel we are tired and we want to go home with some of these documents to continue work. It is part of patriotism. There is nothing wrong in that. But the Senate Majority Leader, Ahmed Lawan, deflated the delay claim, saying the 2017 budget will be ready for presidential assent next week. Fielding questions yesterday from State House correspondents after meeting with President Muhammadu Buhari at Aso Rock Villa, Abuja, Lawan explained that the Senate had intended to pass the budget in March but could not due to some unforeseen circumstances beyond the control of the lawmakers. Although he held that a part of the document was carted away during the police raid, he, however, noted: “The good news is that we are doing everything possible to ensure that we catch up with the lost time. “I am thinking that by next week by the grace of God, we should be able to finish our own work and pass the budget to Mr. President to sign.